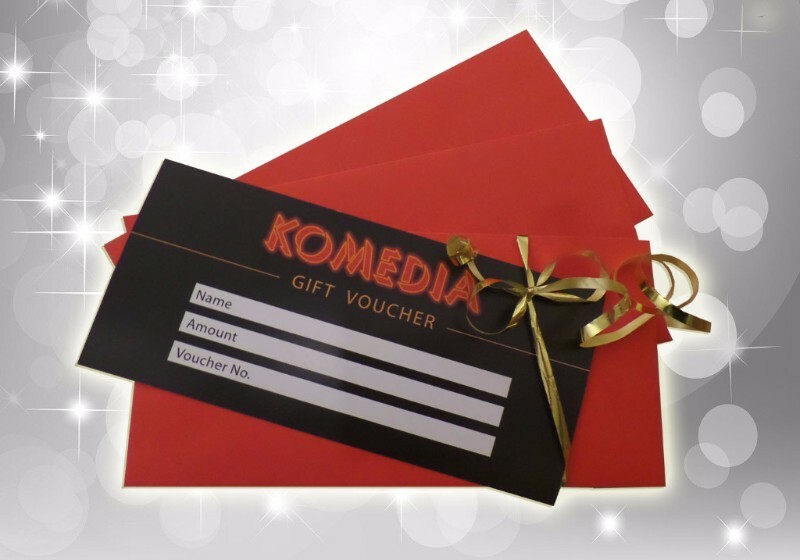 Our gift vouchers are valid for 12 months and can be used to purchase tickets for any Komedia Brighton show. Want us to post you the voucher? Book by phone on 01273 647100 and request it to be posted. Please note: When booking, if you wish the voucher to be in the recipient’s name please book it under their name. The details on the card payment do not need to match the name on the booking. To purchase one for your nearest and dearest Book Here. Please call us on 01273 647100 if you wish a physical voucher to be posted to you. If you wish to redeem your voucher, please call the box office on 01273 647100 (7 days a week from 12noon to 7pm – 6pm when no evening show).